How big is God in your life? What He has done in your life that you can surely say, “My God is bigger than any mountain”? What miracle have you seen in your life that you have to exclaim over and over again, “How great is my God”? What can you offer or give Him in return? 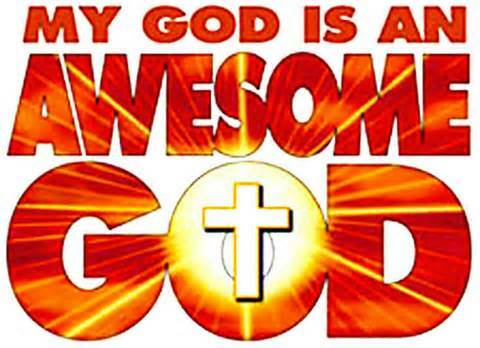 The Word of God tells me how great, how mighty, how awesome my God is. But I need and it is imperative for me to see Him as a mighty God, as a great God. so is not only by what I read or I heard, it have to be by what I have experienced in my life. **The word awesome means extraordinary. In other words He do things beyond what is ordinary or usual, cause He has an extraordinary authority. When you see the great power of God in your life, and God tells you -“Give me an offering, give me praises, worship me, give me your heart! Your eyes! Your hands”!, by your own free will you are going to give him offerings; you’re going to obey. Since God is so mighty, so great in your life, what can you give Him in return? Or as an act of worship, what can you offer God? We can offer a sacrifice of Praise. Our will! Our heart! Our Worship, our everything!